Barbara & Mel Kornbluh (Jed's parents) donated $100.00 April 23, 2019 ... "Monte keep this amazing team cycling for such an important cause. Peace Hope and Love for all." Paul Ackert donated $50.00 April 22, 2019 ... "Thanks for all that you do Monte"
Maple Craft Foods and the Ackert Family donated $260.00 April 21, 2019 ... "Thank you for your efforts to Make Life Safe & Sweet"
Anonymous donated $250.00 April 19, 2019 ... "Peace, love, hopd"
Team 26 will ride from Newtown to Pittsburgh - 600+ miles in 6 days. Chase donated $260.00 April 16, 2019 ... "Team 26 is an awe-inspiring event driven by citizens committed to the future and to never forgetting or repeating the past! 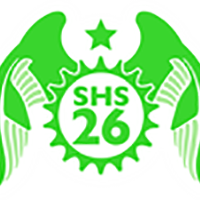 Ride on, Team 26"
Michael W. donated $200.00 March 30, 2019 ... "Thank you for your years of perseverance. " Rita and John Fogelman donated $118.00 April 16, 2019 ... "God bless you, the team and all who carry the message of hope. " Don & Eve donated $100.00 April 3, 2019 ... "Monte - We're happy to support you and the team - good luck on the ride! " Tanya and Brian Moran donated $100.00 April 1, 2019 ... "Monte . . . thank you for always being there for all of the people and families." The Butchen Family donated $100.00 March 31, 2019 ... "Thank you for keeping up the fight!" Andrea Moore donated $50.00 April 4, 2019 ... "Ride on, Monte! So proud to support you." Roger Garbow donated $36.00 March 30, 2019 ... "Monte, thanks for all you do. You are an inspiration. And a hell of a good cyclist." Karen and Mitchell donated $25.00 April 16, 2019 ... "Monte, Gordon, Laurie and all the rest Ride On!"